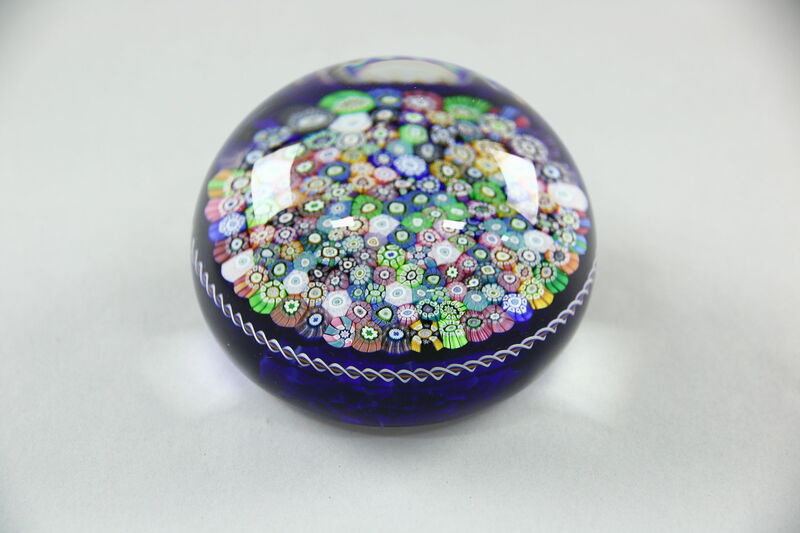 Signed "Perthshire, Crieff, Scotland," a millefiore paperweight measures 3" x 2." It is dated 1983 for a limited edition. Please view 7 photos at full screen size for best detail. USPS Shipping is $7 in the US.